Our hotel offers tranquility and seclusion from the bustle of city life. Kalahari Lodge boasts a number of attractions, from an ala carte menu, spacious conferencing centres, to the peaceful and serene location. Imagine yourself in an oasis of peace shaded by coconut palms, separated from the Ocean by long deserted beaches dotted with coral cliffs. Karoo 1 is a concept hotel resort, designed and built to resemble a quaint Karoo village. The Cape’s funkiest country hotel offering that most vital ingredient: warm, old-fashioned Karoo hospitality. Decorated with a touch of the old Karoo with attention to detail and interesting rustic little touches. Karoo Lodge nestling in two acres of tranquil gardens, is a haven to the most discerning traveller passing through this oasis of the Great Karoo. Karoo Moons is a luxury self-catering guesthouse that offers you a splendid stay in the Karoo. Visit Kat-ma-koep Guesthouse and experience the heart-warming hospitality for which the West Coast and Namaqualand is renowned. This historical and vintage hotel was established in the early nineteen thirties and was one of the first hotels established along the Orange River. Experience an unparalleled level of luxury at the Kempinski Hotel Mall of the Emirates that is connected to the award winning Mall of The Emirates. Located right in the pedestrian zone in the heart of Budapest, modern and luxurious Kempinski Hotel Corvinus is just a short walk away from the Danube and all of the city’s main attractions. 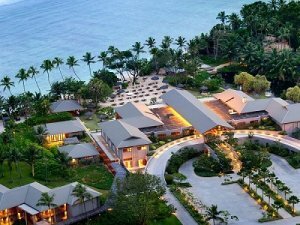 Located on the south end of Mahé in Baie Lazare, the Kempinski Seychelles Resort is an indulgent retreat offering a huge variety of facilities and activities. Ideally located on one of Kigali's most charming boulevards, the Kigali Serena Hotel is built around a polished granite atrium, which showcases the very best of Rwandese cultural art. 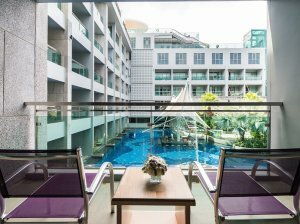 The Kimberley Hotel is located in the bustling Shopping and entertainment district of Tsimshatsui, Kowloon, with 45 minutes drive from the airport. For your stay in Dakar, King Fahd Palace Hotel and Conference Center offers the ideal setting for relaxation and reflection. A relaxed atmosphere, together with great hospitality and personal service awaits both business and leisure travellers. KINMEL self catering chalets 'Wilgerboom' and 'Bergstroom'; offer a relaxing atmosphere to breathe in the splendour of the majestic Drakensberg mountains.